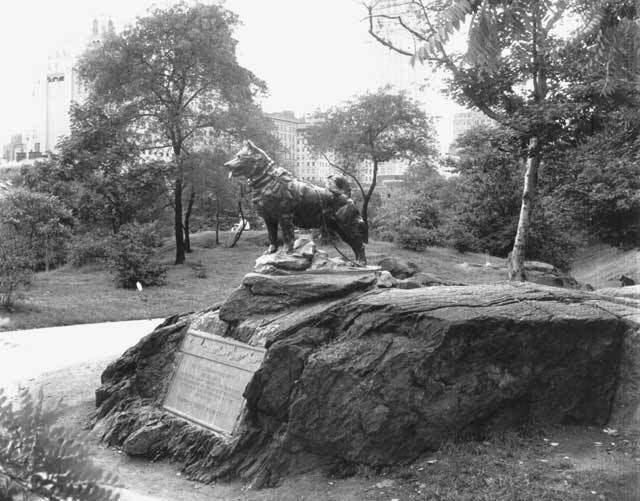 The first known introduction of the Siberian Husky into the United States was to Alaska by a fur trader named Goosack in 1908. Used for sledding, these dogs started winning Alaskan races almost immediately. The word was spreading about this superior strain of sled dog in Siberia. These are the dogs that started it all. 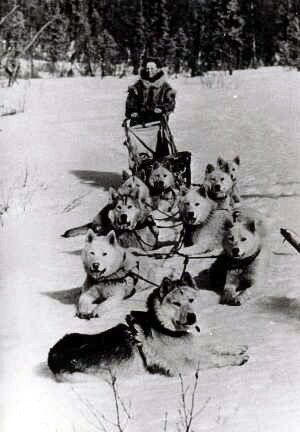 The first team of Siberian Huskies made its appearance in the All Alaska Sweepstakes Race of 1909. Later that same year a large number of them were imported to Alaska by Charles Fox Maule Ramsay and his team, driven by John "Iron Man" Johnson, won the grueling 408-mile race in1910. 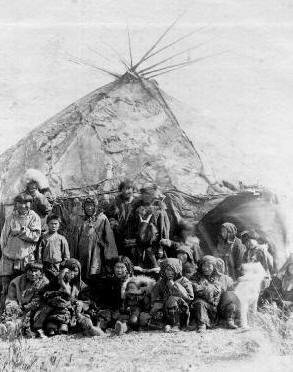 For the next decade Siberian Huskies, particularly those bred and raced by Leonhard Seppala, captured most of the racing titles in Alaska, where the rugged terrain was ideally suited to the endurance capabilities of the breed. Leonhard Seppala became famous for his outstanding racing Siberians. 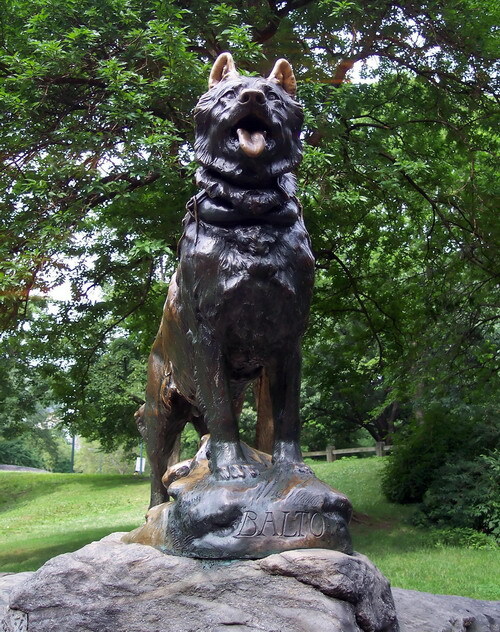 One especially well-known lead dog of Seppala's was Togo. 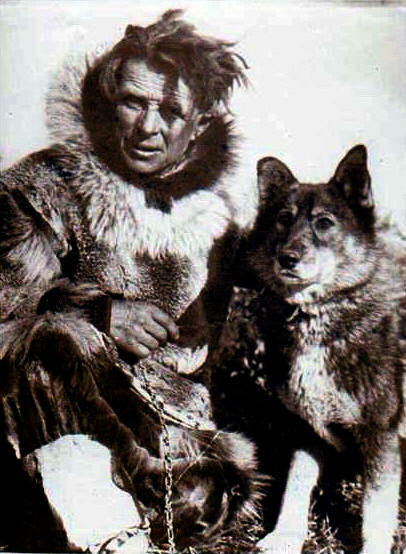 Togo was Seppala's full-time leader from about 1917 to 1925, although Seppala frequently used him as a lead dog even before 1917. 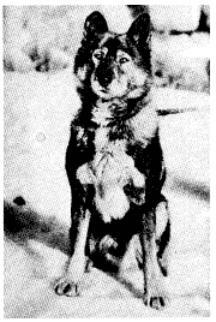 Togo was the most famous and most traveled dog in Alaska, with many racing victories to his credit. He was scrappy, fast, and brilliant. Here are some pictures from Seppla's era. Leoahard Seppala in front of the Parliment Building In Ottawa ,Ontario, Canada, with leaders ( viewing photo), Tserko (import) nearest Seppala: Bonzo (Harry X Kolyma) on the left. At point, Kreevanka (import) on the right, Bijou (unknown) on the left. Behind Bijou, with the wide bar on his muzzle is Smoky (unkown). The very dark dog to the right of Kreevanka's head, is Matte(unkown). The white-face dog directly behind Bijou and Smokey is the orginal Kingeak (Togo X Rosie). Mrs. Ricker is driving:her first husband, Mr Nansen is standing to her left with the bowier hat. This photo was taken February 6, 1931.